We are GOLD VOYAGE SRL (the Company), registered in Romania, with a registered office in Bucharest, 7 Glicinelor street, building M55, app. 2, district 5, and work office in Bucharest, 11 Principatele Unite street, ap. 1, registration number with the Registry of Commerce J40/3700/22.02.2007, and fiscal registration code RO 21179058, working under the tourism authorization no. 6756. These terms and conditions together with any further terms and conditions notified to you by us prior to your entering into a contract with us, including any terms and conditions in our brochures or on our website which are relevant to your booking and any other terms which we both otherwise agree all referring to the Red Patrol Tour will be binding on the Company and your side once a contract is made between us. We take reasonable care to ensure the accuracy of the information contained in our flyers, brochures, promotional materials in general and on our website. However, content is subject to change. We will notify you of any change known to us and affecting your booking prior to issuing you with our booking confirmation and after that as soon as we found out about some unforeseen events. We are not responsible for the content, policies and services of any sites linked to or accessible via our website. All Red Patrol Tours are subject to availability. When you make a booking with us you are making an offer to us to buy some of our advertised services. We reserve the right to refuse to accept and/ or not to proceed with any booking at any time in our sole discretion. Once the contract is made between us we will use reasonable skill and care to perform our obligations to you in accordance with our Terms & Conditions. All bookings must be made by a person aged 18 (eighteen) years or over. Where your booking is for more than one person, the first-named person in your party aged eighteen years or over will be treated by us as the ‘booking name’. The booking name will be responsible for making all payments due to us in accordance with our contract. The booking cannot include children under 10 y.o. The Driving Customer must be more than 18 y.o and must have a driving license. Completion and submission by you of our Booking Form will be treated by us as confirmation that you have read, understood and accepted all our Terms & Conditions. It is important that you accurately complete our booking form as all documents, notices and other information relating to your Red Patrol Tour will be based on the information provided in the booking. It is your responsibility to ensure that the details which you supply to us are correct. In order to book a Red Patrol Tour a full upfront payment is needed. It is your responsibility to check the accuracy of your booking dates and details. The reservation is only valid upon receipt of written confirmation by The Red Patrol. The pick up must be done according to the agreed times as in the booking confirmation. If the beginning of the tour or the takeover of the vehicle is delayed due to the fault of the Customer with more than 15 minutes, the latter may not be waited for. Any reimbursement of the costs is excluded. In case of booking the Self-Driving Red Patrol Tour: when handing over the vehicle to the Customer, the driver called from now on the Driving Customer is obliged to provide a valid ID as well as a valid driving license. If any of these conditions are not fulfilled, the Company can offer the Customer the guide-driving Red Patrol Tour based on an extra charge for the driver provided. In case the Customer refuses, the Company is entitled to cancel the Red Patrol Tour without any reimbursement or cancellation fee for the respective Customer. When receiving the vehicle, the Customer of the Self-Driving Red Patrol Tour must pay attention to the driving instructions and rules of the convoy presented by the Guide, this being a mandatory pre-tour information and rules presentation. In case you book a tour involving gastronomy experiences, food and/ or wine tasting, you have to inform us in advance about any intolerance, allergies or other conditions you may have, and about your dietary preferences (vegetarian, vegan etc. ), so the Company can adjust the tour accordingly or inform you if the adjustment would not be possible. If any of these conditions are not fulfilled, the Company can offer the Customer the standard tours. In case the Customer refuses, the Company is entitled to cancel the Red Patrol Tour without any reimbursement or cancellation fee for the respective Customer. In case you book Bucharest of the Contrast Tour, you will visit very different areas in Bucharest, all of them safe for the personal integrity but some of them having a bad reputation. We take all measures to ensure the Customer safety during the tour. However, the Customer must follow all instructions given by the tour guide. Also, the Customer is responsible for taking care of his/ her own belongings. The Company is not responsible for theft of Customer belongings or any similar situation that may arise due to the Customer not following the group, and the instructions of the guide. The Red Patrol Tour can use a minimum one car and maximum three cars, every car used belonging to a convoy with a main car driven by the guide. The guide will communicate by radio station with all the cars in the convoy with the purpose to inform Customers about the Red Patrol Tour, the city areas to be crossed, landmarks, and to give traffic indications that are compulsory for every Driving Customer to follow. The Customer is forbidden to use the radio station during the presentation of the guide with the exception of announcing a technical issue or a medical problem or in case of an emergency situation. If any technical issue or any medical issue or any emergency occurs while touring, the Customer will announce the guide by radio station and safely stop the car on the side of the road, waiting for the guide to come and solve the issue. If any technical issue occurs, the Customer should not interfere under any circumstances by himself and try to solve the issue by himself. If any driving regulation infringements occur or if a fine occurs or a traffic accident is caused, the driving customer holds the entire responsibility of the consequences (both penal and material). When parking the car for a stop the driving customer will only park the car in the places indicated by the guide. When leaving the car at a stop point indicated by the guide and getting out of the car, the Customer is responsible for the personal safety of the car members as well as the vehicle. When leaving the car at a stop point indicated by the guide, the Customer will safely close the doors and lock the car. The Customer is responsible for all his personal belongings left in the car. The Customer is not allowed to eat or drink inside the cars. . The Customer is not allowed to smoke inside the car or to drink alcohol during the trip. Customers detected to be under the influence of alcohol or drugs cannot participate in the Red Patrol Tour. The guide in entitle to cancel the tour immediately and no reimbursement can be asked for this cancellation. 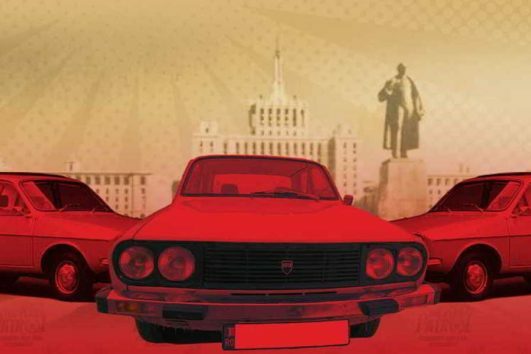 The cars used for the Red Patrol Tour are not new, some are historic vehicles (over 30 y.o.) that must be driven with care and in a relaxed manner, because you are in a relaxation tour not into a car race. The cars used are fully compliant with traffic and safety standards, are compliant to Romanian and European laws. Both the Driving Customer and the Customer must take into consideration that driving and participating in the Red Patrol Tour implies: manual steering wheel, manual transmission and no guiding equipment such as parking sensors, traffic camera, ABS, ESP, AC, etc. The vehicle may only be used by the Driving Customer and by his/ her companions (max. 3 persons per car, driver included). The prerequisite for the driving of a vehicle is always a valid driving license as well as unrestricted driving capability. In case of violation, the Company has an immediate right of withdrawal. The Driving Customer must drive the car only as part of the convoy and follow the given traffic regulations and instructions valid in Romania. The Driving Customer should comply to the national driving rules while driving during the tour as part of the convoy. It is strictly forbidden to drive the vehicle under the influence of alcohol or drugs, even in very small quantities. It is also forbidden to join the Red Patrol Tour under the influence of alcohol or drugs. In the event of any violation, the Company or its Agents (guide, personal driver) are entitled to terminate the Red Patrol Tour immediately. It is strictly forbidden for any person participating in the tour to attempt to drive a car if he/she does not have a valid driving license. Wear damage is always at the expense of the Company if it is not due to the improper handling. In case of getting the interior of the car extremely dirty during the tour, a cleaning charge of 50 Euro could be applied. The Customer agrees to treat the vehicle with care and to return it in a clean and undamaged condition. Otherwise costs incurred will be charged to fix or clean the car. If damage is detected on the way, the guide as representative of the company must be informed immediately, so he/ she can determine which measures will be taken. Without the consent of the guide, the Customer is not entitled to take or commission any fee-based measures to fix the identified condition. In case the Customer does commission fee-based measures, the Company has the right to refuse the reimbursement. In the event of traffic accidents, the Customer/ the Driving-Customer must notify immediately the guide as representative of the Company .The arrival of the Police is to be awaited on the spot and the possible determination of guilt is to be clarified. Opposition claims may not be recognized. Any acknowledgement of guilt is not to be given. Even in case of minor damage, a detailed report must be submitted to the Company and a sketch must be submitted. In particular, the accident report must include the names and addresses of the persons involved, vehicles, registration numbers and possible witnesses. If the vehicle is no longer safe, the Company is to be informed immediately, so that it can take appropriate measures. In case of accident the Tour is considered terminated without the possibility of reimbursement . There are no cancellation options if the cancellation is made less than one week (7 days) before your Red Patrol Tour booked date and hour as we may not be able to resell your Tour. We strongly recommend that you take out insurance cover for cancellation adequate to cover the value of your Red Patrol Tour. We will refund you 50% of the price of the Red Patrol Tour if the cancellation is made more than one week (7 days) before your Red Patrol Tour booked date and hour. If you wish to cancel your booking or any part of it relating to any person (in the case of a group booking), we will require your authorization in writing or (in the case of a group booking) the authority in writing of the booking name to do so. If your booking was made through an external agent, all changes and cancellations must be made through them (they may also levy cancellation charges and it is your responsibility to check with them at the time of your booking). It is your responsibility to check the Terms & Conditions of the third-party you have booked through. In case of special situations that could appear in the course of the Red Patrol Tour, declared by the local authorities as a Force Majeure. We will take reasonable care to deliver the Red Patrol Tour that we are contracted to provide to you. 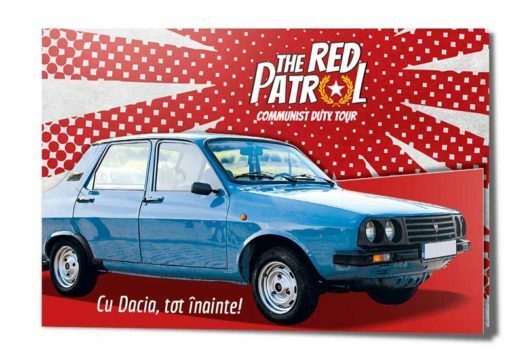 As we use old Dacia cars, for all tour offered on www.redpatrol.ro, some of them over 30 y.o. some technical problems may occur just before/ during your Red Patrol Tour. We will do reasonable actions to solve any such problem or provide a spare Dacia car to continue your Red Patrol Tour and we call these minor changes. These are not considered to be major changes and thus we are not obligated to provide compensation. Minor changes also include changing Red Patrol Tour itinerary either in part or completely.The itinerary presented before the Red Patrol Tour or the itinerary presented in the reservation can be changed to avoid traffic jams by noticing this to the Customer during the tour if specific city conditions such as traffic restrictions caused by city events taking place, weather events or similar causes. The itinerary presented before the Red Patrol Tour or the itinerary presented in the reservation can be changed in case the restaurant or the winery included in the tour are closed in a specific day. Minor changes also include changing the car due to technical problems. If this is necessary, we will substitute alternative arrangements of comparable value or even provide a full or partial refund at our discretion. We will try to inform you of any changes we have to make as soon as reasonably possible prior to your due departure date although we are not obliged to do so. We will not pay compensation or accept any liability where any change is due to circumstances outside of our reasonable control, including (without limitation) any strikes, weather conditions, flood, Acts of God, other adverse weather conditions (including heavy rainfall, hail, snow, fog or frost), police or security alerts or precautionary measures taken unless the authorities declares these circumstances Force Majeure. Under no circumstances can we be held responsible for any delay, deviation or cancellation of your arrival due to weather conditions or any other reason, nor can any Red Patrol Tour be cancelled or amended by you at any time on this basis. (a) We will take reasonable skill and care in performing our contractual obligations and if we or our suppliers fail to use reasonable skill and care or are negligent and you are able to prove we have caused you loss or damage, we may, subject to these Terms & Conditions, accept responsibility for compensating you. (b) If you feel that any part of your Red Patrol Tour arrangements are not provided as promised, you must notify our guide no later than the end of the Red Patrol Tour. You must provide us with details in writing at the earliest opportunity. (c) None of the provisions of this paragraph shall have the effect of excluding or limiting our liability in respect to any personal injury or death of you or any member of your party during your Red Patrol Trip directly resulting from our own acts or omissions or the negligent acts or omissions of our employees, agents or suppliers whilst acting within our authority or instructions in the performance of our contractual obligations to you. We do not accept any responsibility for death, injury or illness caused by any act or omission whether of any third parties acting outside of our authority, instructions or control or with whom you may have made any bookings or arrangements direct or any cause which we could not reasonably prevent. (e) Our suppliers, our guides and our partners are instructed not to act as our agents in booking any alternative activities other than those approved and offered by us and which you have purchased directly from us. Any assistance they may offer at your request in relation to such activities does not imply they have acted as our agent or with our authority or approval. We are not responsible for such activities and have no liability to you in respect of any of them. (a) It is your responsibility to ensure that you have a valid driving license if you choose the self-driving Red Patrol Tour. (b) You are responsible for ensuring that any existing medical conditions or disabilities which may require assistance are declared to us before you book your Red Patrol Tour so that we can pass these details on to our guides in good time. You are responsible for informing us about any food allergy, intolerance, dietary restrictions if you choose the Gastronomy or the Wine Tasting Tour. (c) You are responsible for your behavior and that of your party. We and our guides and suppliers reserve the right to refuse your booking or the right to do the Red Patrol Tour and to remove you and/ or any member of your party from the cars at any moment of the trip if you or any member of your party is drunk, violent or under the influence of alcohol or drugs; if you are or we reasonably believe that you are in unlawful possession of drugs; or are behaving violently, disruptively, dangerously or irresponsibly or in any manner whatsoever which presents a risk to others or is causing a nuisance or annoyance to others. No refund will be given or compensation paid and no costs or expenses for which you become liable or which are incurred by you will be made by us or be recoverable by you from us in such circumstances. You may also become the subject of police inquiry or security measures or investigation and liable in the event that any offence is committed to criminal prosecution and penalties in respect of the alleged activity. (d) You are responsible for meeting your Red Patrol Tour guide at the allocated and place. Due to the fact that this is a Tour with fixed departure hours, we cannot adjust the time allocated for the tour. If you are late for a pick-up we have the right to leave without you or your party and will not be held accountable. (e) You are responsible for checking the times and dates on your Red Patrol Tour bookings. We use these details as recorded by you in your online booking and we do not accept liability for any errors resulting in you or your party missing your booking. (f) Our representatives and guides may sometimes take photographs and films of you during the Red Patrol Tour. These may subsequently be used in our advertising or marketing materials, used on the website, the blog or across our social media platforms. If you do not consent us to use such materials, it is your responsibility to inform us in writing prior to the start of your trip. (g) At the end of your trip you may be asked to fill out our digital customer feedback forms and may be contacted via email with a request for a testimonial or comment. Your comments may be added to our website, our advertising and promotional materials, or across our social media networks. If you do not consent us to use such materials, it is your responsibility to inform us in writing prior to the start of your trip. We will not use your surnames when referencing your comments. (h) You are responsible for your belongings during the entire tour, whichever your chosen tour is. If you have a problem during your Red Patrol Tour, please immediately inform the guide of the Red Patrol Tour who will proceed to provide a solution. It is unreasonable and in breach of your contractual obligations to us to take no action whilst on your Red Patrol Tour, but then to write a letter of complaint upon return. If the problem cannot be resolved and you wish to complain, full details must be sent to [email protected] in writing to arrive within 28 days after your Red Patrol Tour booking. You will have to give us your booking reference and all other relevant information. Please keep your letter concise and to the point. It is strongly recommended that you communicate any complaint to the guide of your Red Patrol Tour without delay. If you fail to follow this simple procedure we will have been deprived of the opportunity to investigate and rectify your complaint and this may affect your rights under this contract resulting in reduced or no compensation if any was merited. 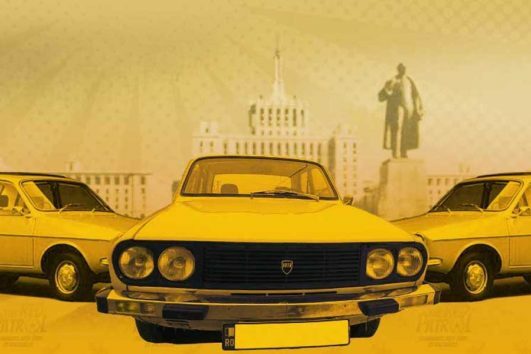 The vehicles used for the Red Patrol Tour are insured according to the legal traffic conditions of Romania. The Red Patrol Tour does not offer the insurance or cover cancellation insurance to the value of your Red Patrol Tour, emergency evacuation and repatriation costs in respect of all of your activities as well as medical expenses, accidents and the safety of your luggage on our transport. The Customer is liable for all accidental damages caused by him. However the Customer is liable even if a disclaimer has been agreed, for accident damage unlimited if he caused the damage by intent or by gross negligence, or the damage was caused by alcohol or drug-related driving inefficiency. The indemnity is also not given if the Customer does not use the vehicle as intended or passes it on to other unauthorized persons or violates the regulations regarding traffic accidents. The Company is liable for all damages culpably inflicted on the Customer as far as coverage exists within the framework of the vehicle liability insurance concluded for the vehicle. The Company is only liable for intentional or grossly negligent damages. All further claims including against employees and suppliers (guides, drivers, partners involved in the Red Patrol Tour) are excluded. Our Terms & Conditions are updated from time to time. The terms and conditions which will apply to your Red Patrol Tour are those on our website at the time of booking. You can view them on our website redpatrol.ro. By proceeding with any booking, you confirm you have read and agreed to our Terms & Conditions. There may be additional terms and conditions that apply to our special offers, promotions and discounts from time to time. These will be notified to you at the time of booking should you inform us that you would like to take advantage of them.